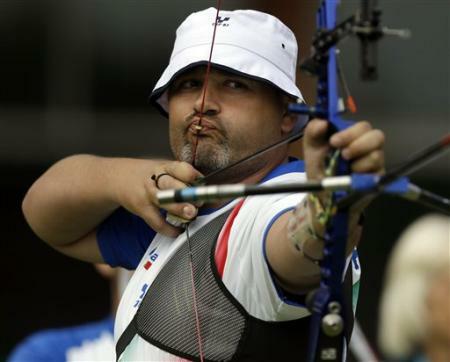 The Italian men’s team recorded a dramatic victory against the United States in the final of the Archery on Saturday afternoon. Their first day triumph ended in dramatic fashion as the result came down to the final shot. Having lead by four points for most of the final, the Italians’ advantage was narrowed by a determined American team who finished on 219 points. With a four second countdown until the end of the match Michele Frangilli knew that ten points were needed from their last arrow. Looking calm and composed in his unconventional pose he released the final arrow. It landed on the line, but that did not matter as Italy had won the Olympic gold medal. The match winner Frangilli showed nerves of steel throughout but the emotions of the whole team bubbled over once victory was decided. It was a bitterly disappointing result for the USA team, who had great hopes coming into these games. Yet, a silver medal can not be seen as a major failure. Ryan Lochte marked his place in Olympic history as his dominant performance in the 400m Individual Medley gave him his first Olympic gold medal of London 2012. Surely it won’t be his last? For Michael Phelps though, it was a race to forget as he finished fourth and out of the medal positions. The world will be watching now to see if this was just an anomaly, or if there is a new king of the pool. Ryan Lochte with his 400m Individual Medley Gold. The Women’s 400m Freestyle was greatly anticipated by all fans of Team GB. 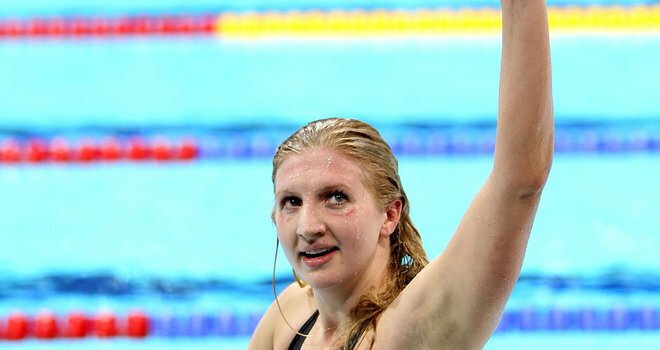 Rebecca Adlington, the twice gold medalist in Beijing, was not considered favourite by pundits but the crowd of 17 000 showed their unconditional support for the 23-year-old. She recorded a brilliant third place finish as a result whilst Camille Muffat won the gold medal for France. Muffat was the deserved winner, as the in form swimmer this year. After the great disappointment for Mark Cavendish and Team GB on Saturday, the women were now under pressure to deliver the first medal for Great Britain in the games. 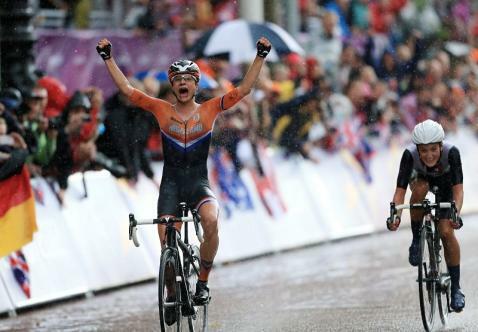 The many fans, who for the second day in a row had waited for hours at the Mall, were not disappointed as they saw Lizzie Armitstead battling against Marianne Vos in the final kilometre of the race. Unfortunately, Armitstead could not beat the imperious Russian but a silver medal was enough to please the lucky onlookers. For the neutrals, it was a spectacular end to a closely fought contest. With Tom Daley ready to please crowds today and the news that more tickets are due to be released for the games, Day Three is set to be filled with more excitement for the home athletes and beyond.